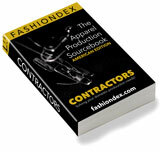 DARWOOD MANUFACTURING CO. solving Shirts & Tops production and contracting needs. patternmaking, sample making, washing & more. Markets: Menswear, Womenswear, Boyswear & Accessories. Compare DARWOOD MANUFACTURING CO. with all 35 listings in Shirts & Tops.